Police in Albania are investigating after a gang of thieves broke into Tirana International Airport and grabbed bags of cash as they were about to be loaded onto a plane. As they tried to escape, police gave chase along back roads. In an exchange of fire, one of the gang was killed, according to a police statement. A helicopter was deployed in the hunt to find the others, whose number isn’t known. However, it appears they managed to escape. How much money was stolen during Tuesday’s smash and grab is also unknown, but reports speak of “millions of euros”. The Albanian Daily News puts the figure at €10 million. Reports say four people have been arrested and up to 40 questioned, including airport security staff. There have been several robberies at the airport in recent years, raising questions about security and the response of the police. The authorities say the thieves got into the premises via a secondary gate. Local media reports say they drove a van, posing as tax investigators, and pulled up on the tarmac as the cash was about to be loaded onto an Austrian Airlines plane. “Boarding had just taken place. There was never any danger for crew and passengers,” Austrian Airlines spokeswoman Tanja Gruber has been reported as saying. The flight – believed to be OS848 – was delayed for three hours but later took off for Vienna. Police said the money was due to be transported to a bank in the Austrian capital. This is common practice as Albania’s central bank reportedly does not accept large deposits, so cash is often sent via Tirana airport. 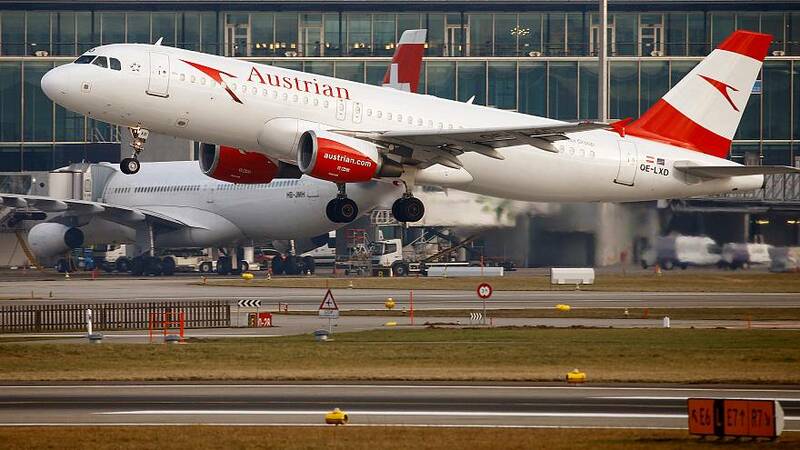 Austrian Airlines says no further cash transfers will be made to Vienna as a security measure.